BALANCING your Personal and Professional Life! Living the balanced life of your dreams is a journey of self-discovery and achievement! 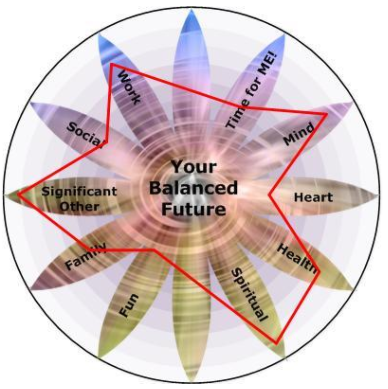 Although there are many definitions when we are talking about being balanced we are referring to you allowing yourself quality time for each aspect of your life. Being so deeply engrossed in one area of your life often means that you are neglecting other areas of your life; which may be more important. If you are being pulled into one specific area of your life, you may not feel grounded, or calm, or clear-headed, or even motivated. You may feel overwhelmed and as though your life is out of control. Balance? How do we start? Creating balance involves all elements of your life — internal and external. Your internal elements include you; your mind; your heart; your health; and your spiritual element. Your external elements are those elements which involve other people and other places. They include your work; your social activities; your family; and fun! Time for me — how do I allow myself time for everyone else, for the activities that I want to do, for the things I want to be involved in, and balance giving myself enough time? Mind — how do I challenge myself intellectually while creating opportunities for my mind to rest? Heart — as someone who is known to be a giver, I have learned to ask myself ‘if I am always giving to others, what am I receiving from them or others? Health — am I looking after my nutrition, exercising properly, while allowing myself treats and rest? Work — what balance do I push myself to achieve and be successful versus seeing the bigger picture and enjoying the ride? Social — how do I allow myself to balance having a fully enjoyable social life while allowing myself time for me? Significant other — how do I create the quality time for myself, while allowing all the other areas of my life to remain balanced? 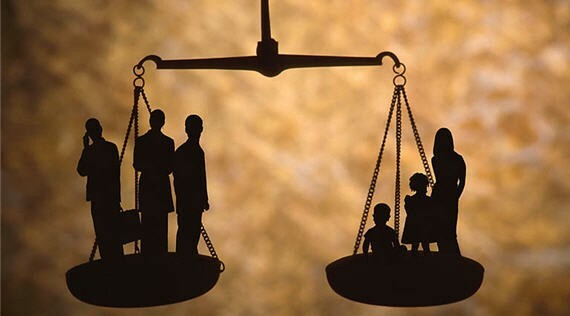 Family — how do I fulfill my family responsibilities, while creating healthy boundaries? Fun — how do I create the time for the things I truly enjoy doing while making sure that I don’t overdo it? Balance? How do I introduce balance? Enjoy every moment — large and small! Become aware of absolutely everything you are doing and not doing. ‘No’ is a complete sentence! If you want to say ‘no’ to something, say ‘no’ without feeling as though you have to explain yourself. Identify your own dreams and aspirations. If you don’t, who will? Create your own goals. If you don’t create your own goals, who will create them for you? Identify and embrace change. It’s easy to say that you want to have a more balanced life, but if you don’t identify and embrace the changes you have to make, will you be able to? Set priorities. These are your priorities and you can use something like this Management Matrix. Evaluate your decisions. Sometimes decisions are made focusing on what other people want or require. This may be the right thing to do, but only if you have fully evaluated the decision. Trust your intuition or your ‘gut-feel’. If in your inner being you truly feel that you want to do something or not do something, follow your intuition. Be level-headed — it’s very easy to impact your own time and balance of life when something challenging or negative happens. Deal with these in a timely, kind and understanding way. Nurture yourself — make sure that you are allowing time for you as you focus on the time required for everything else. Listen to your body. Your body will often tell you if you are not eating well or not exercising regularly; and if you select not to listen to it and fall ill, you will be impacting on your own life balance. Superhero — do you have to be? Often you will try and be everything to everyone when really you can just be you! Find a support circle — coach, mentor, like-minded friends. You do not have to do everything yourself, by finding your own supporting and motivating support circle you will be able to create your own balanced life! We all lead busy lives, but we should never be too busy to connect with our family, friends and our inner self. With our daily routines and hectic work schedules, we tend to lose a little bit of us everyday. The challenge is to balance what we must do with what we enjoy doing. Dreamcatcher IT is a hub of eerie minds keen for desired accomplishment; stirred by technology to reinvent possibilities.